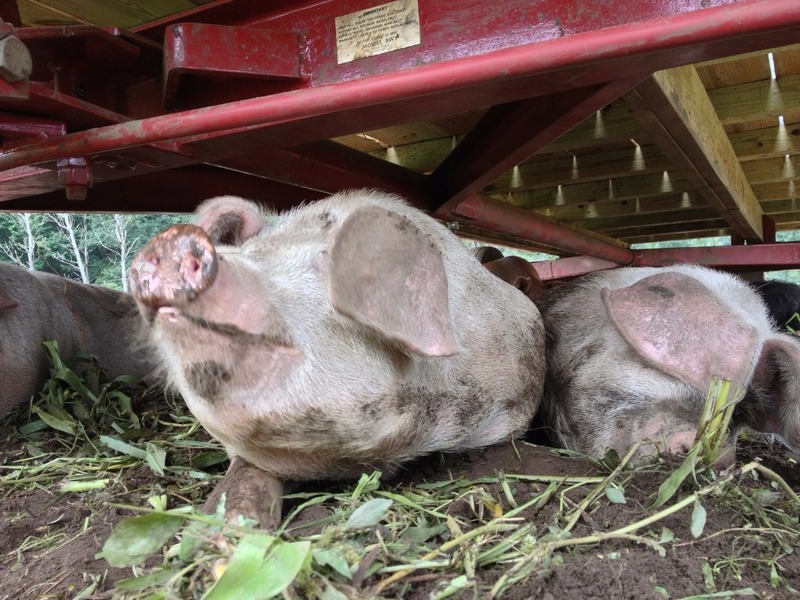 In 2013 we received a Sustainable Agriculture and Education Grant (SARE) to trial a new concept for managing pigs on pasture. The Mobile Cooling Wagon is a farm wagon based cooling structure with misting heads to spray water down on the pigs during hot days to keep them cool. We have been using this system since 2013 with great success! The pigs love it and it allows us to move the pigs into open pasture even on hot days. 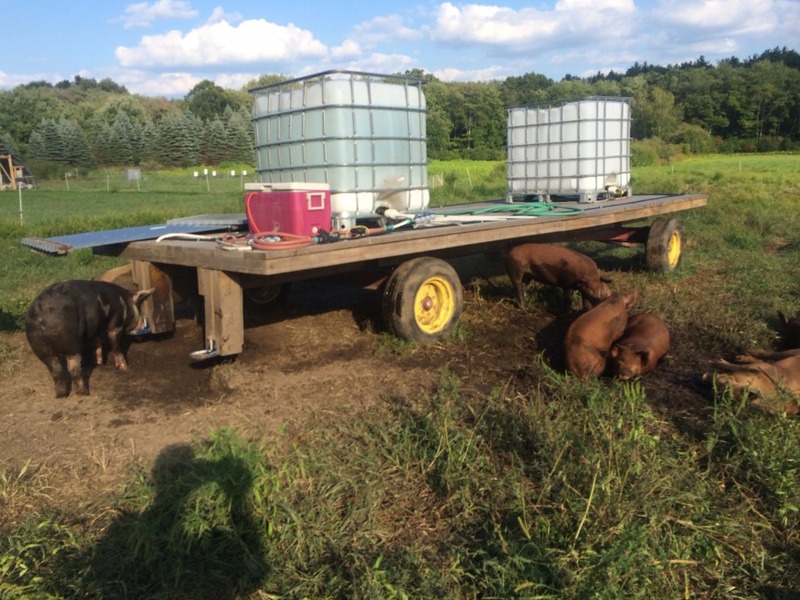 This system helps us to bring the pigs to the pasture/forage we grow for them AND helps to spread their manure more evenly throughout the fields. The rear of the wagon also has two water drinking cups to dispense clean cool water with the touch of the nose!